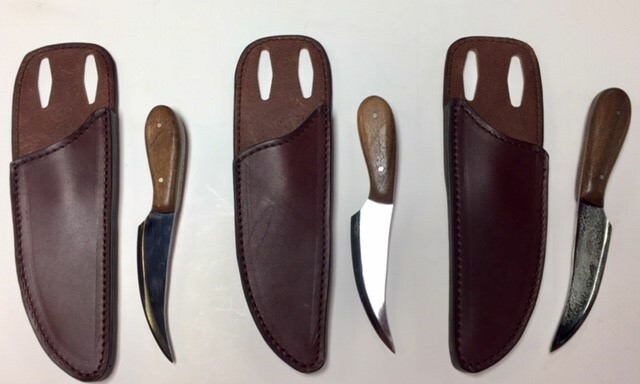 While at the Tennessee Classic this past May I picked up 6 high carbon knife blades that were cut from large saw blades. 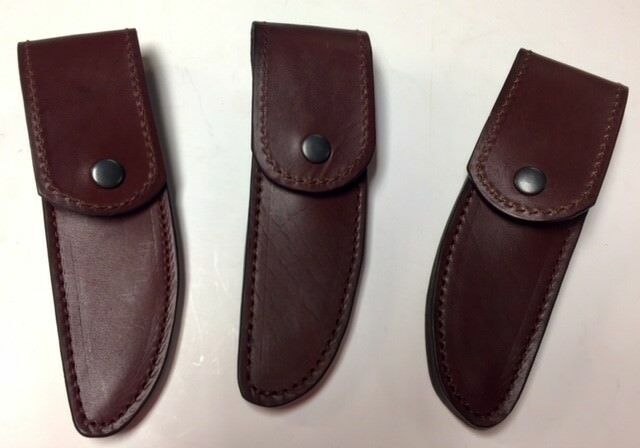 A local knife maker added black walnut handles for me and I have built heavy duty veg-tan sheaths for each of them. 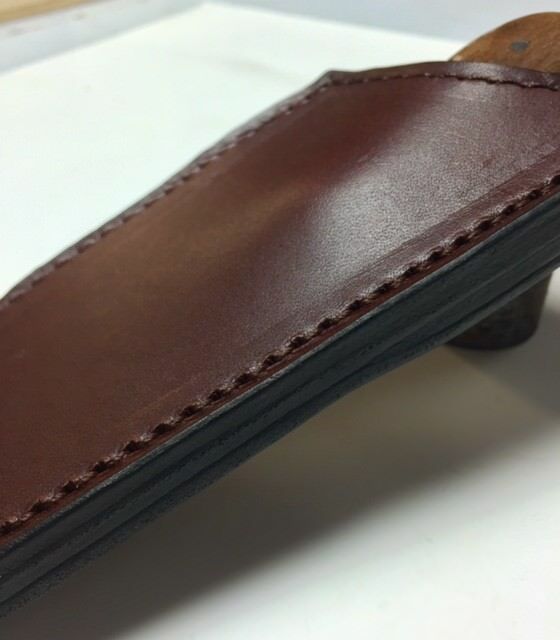 If you have a knife that needs a heavy duty leather sheath built get a hold of me. 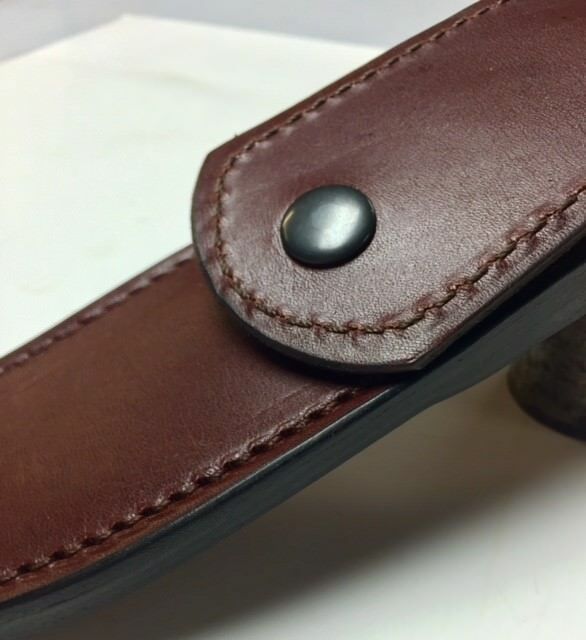 I am happy to build you a sheath that will last several lifetimes!